Members of WBCM met at AMJ-Jasin/Merlimau junction by 8.15am on Malaysia Day, 16th September 2016, Friday. 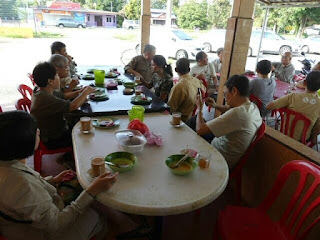 We had breakfast at birding site known as Sungai Rambai ricefields. 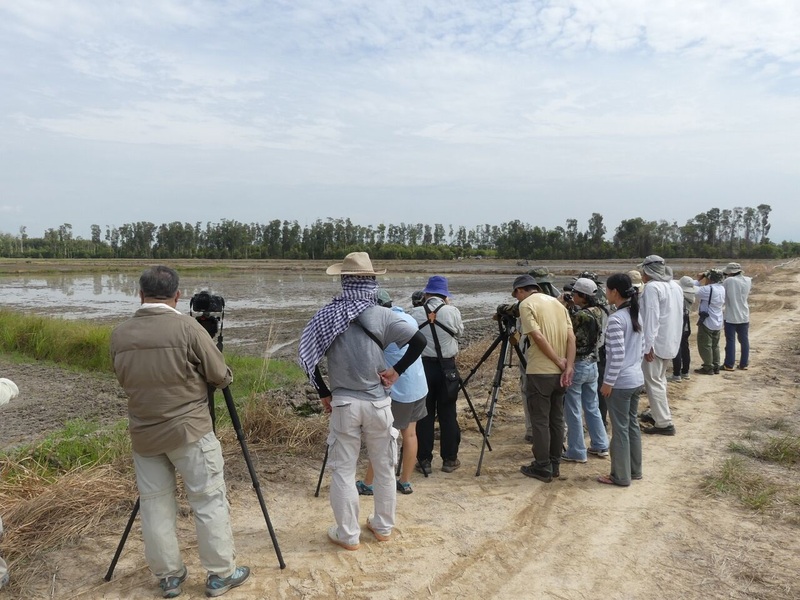 Our wader guru Ang gave us a short briefing during breakfast before we embarked on four and a half hours of birdwatching from our cars, short walks around the ricefields, admiring a flock of Pacific Golden Plovers in jade green field. there was a special encounter with a Rail, a juvenile Slaty-breasted Rail, to be exact. It was trapped inside a ditch. 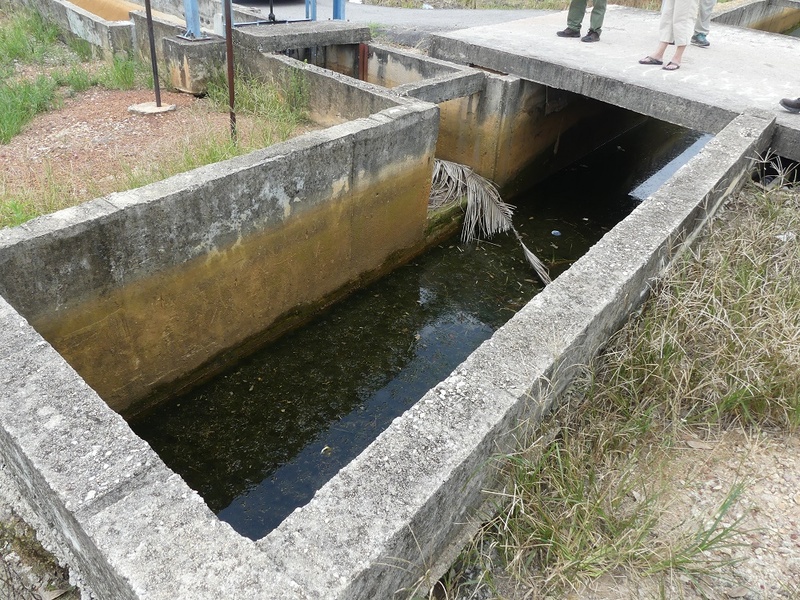 Some members had observed the Rail swimming along one of the many irrigation canals surrounding the rice-fields before it ended up in that ditch. 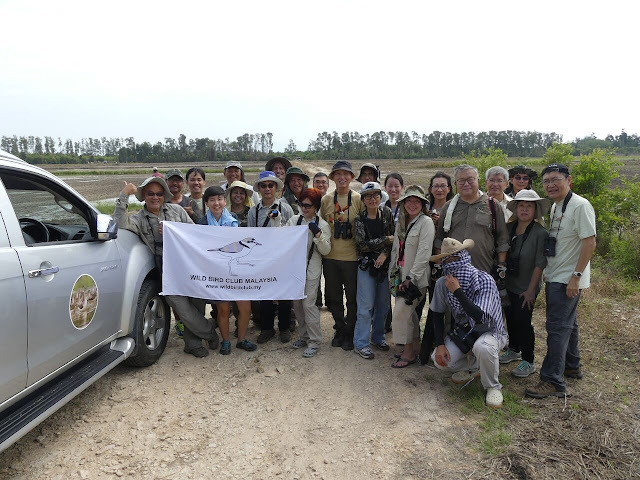 Mark, our Club Vice-President left a dried-up coconut leaf for it to climb out safely.A total of 52 bird species were sighted that Friday morning by Wild Bird Club of Malaysia. 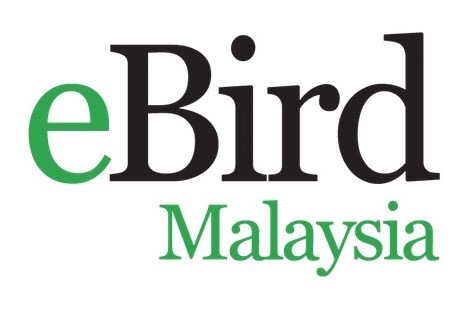 Full record can be viewed at Ebird Checklist S31617068. 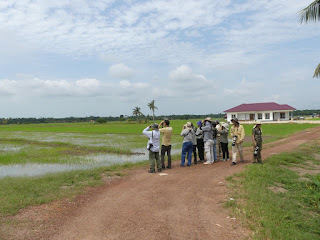 We ended our birdwatching session at Sungai Rambai/Merlimau ricefields quite late around 1.30pm and it was already 2pm when we were all ready to make our way towards Malacca. A famished group of birdwatchers were about to enter Amboi Nyonya Restaurant for lunch. Alex, who owns this restaurant is a member of WBCM who had joined us earlier that morning and we had him to thank for the quick serving of the dishes, drinks and desserts onto our two tables, when we arrived at his restaurant around 2.45pm. We checked into Supreme Hotel Malacca by around 3.30pm. Committee members had a meeting that Friday afternoon, to go through the remaining activities for 2016 before we re-joined members at hotel lobby by 7pm. 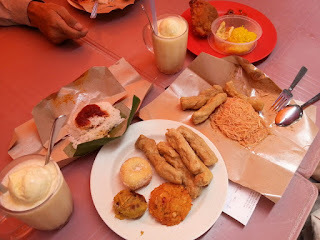 We walked towards Jonker Walk, Malacca for our Satay Celup dinner. We had Chocolate Fudge Cake (Birthday Cake for Maye, our Club Secretary and Izzat, our Club Committee member), and drinks at Old Town White Coffee restaurant, just next to Supreme Hotel Malacca. 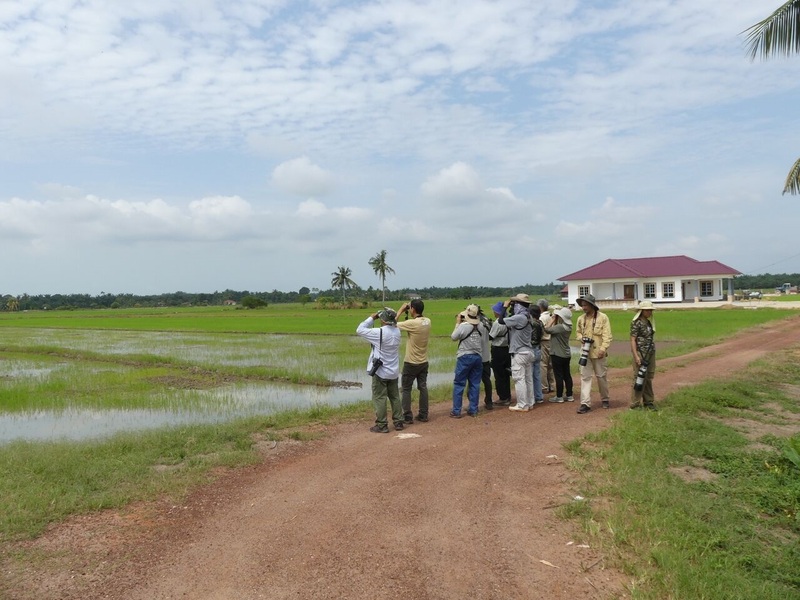 Three hours of birdwatching resulted in 35 species in total sightings of bird species that Saturday morning in Batang Tiga, Malacca. 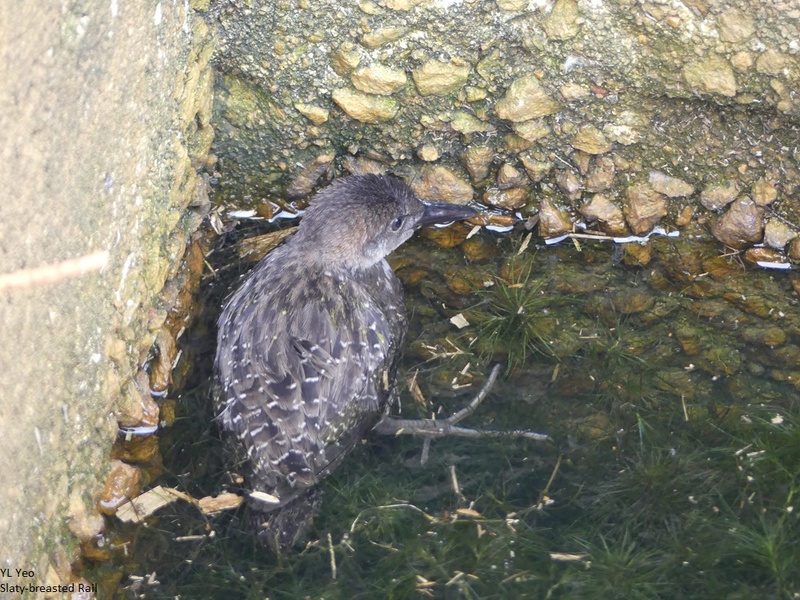 Entry by WBCM can be viewed at Ebird Checklist S31618631. 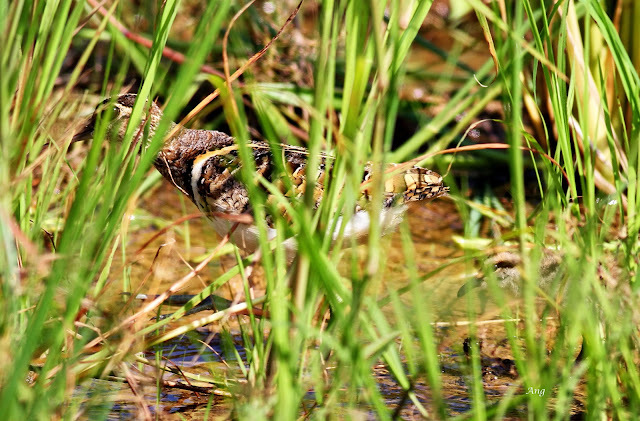 Greater Painted-Snipe male with chick, sighting of which was only possible when we stayed inside our vehicle. 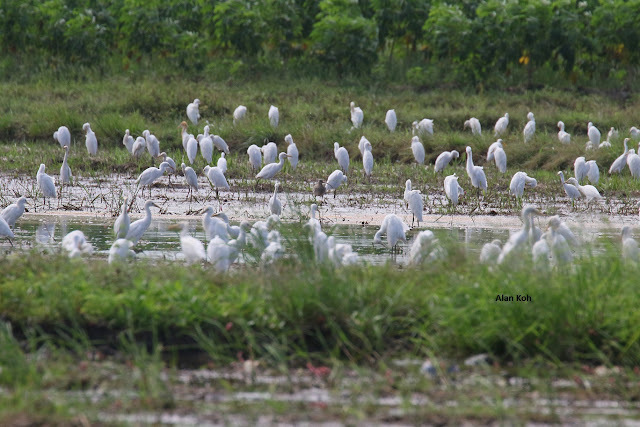 Maye literally made eye contact with the Painted-Snipes of Batang Tiga that day as she spotted these secretive birds from inside Ang’s Isuzu. 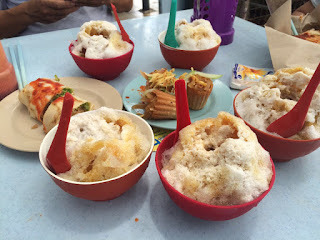 486 Baba Low’s lunch for Group 1 and Klebang Original Coconut Shake lunch for Group 2. 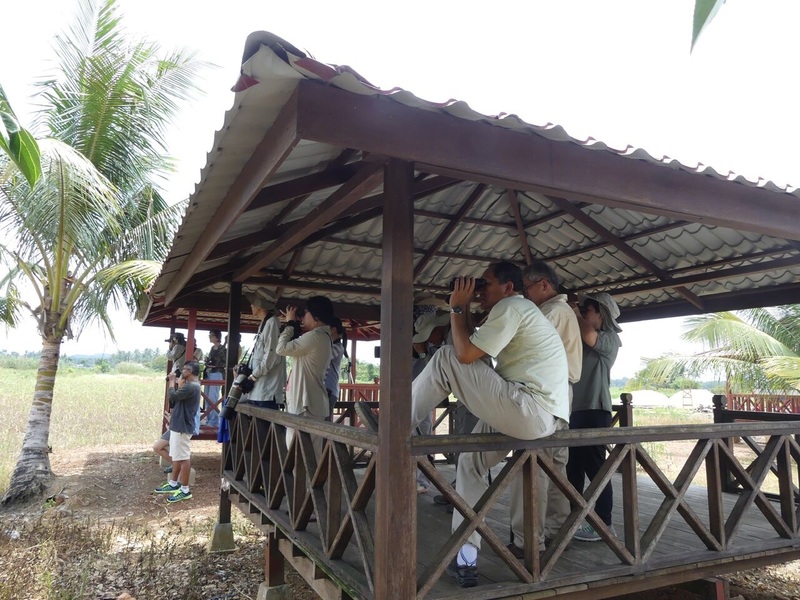 Special thanks to Ang, Raj and Alex, our members from Malacca for showing us the prime birdwatching (and makan-makan) hotspots in Malacca. 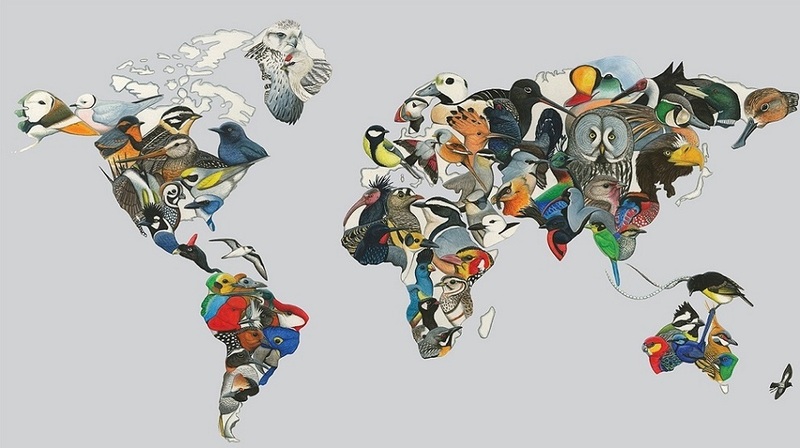 An interesting mix of birds and food. The hardworking committee even took time to have a meeting in between.